I am so happy for Chef Vanessa from The Wholesome Table Cheers Bianca and Juan for being GREAT bosses. “My first selfie in my new home. I was surprised that I was able to loose a lot of weight. I thought there was no more hope. Its all about having a change of lifestyle. It is not hard going primed but its how healthy you can be. Thank you Chad Davis for guiding and motivating me to getting primed. Primed Ancy, Jeff, May, Anne and Apo are thriving Primed. Down over 120 pounds and loving life. 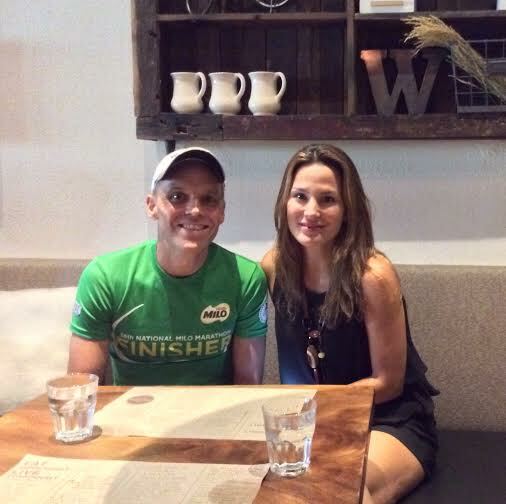 Triathletes also love The Wholesome Table BGC. Right Berns Tan? My good friends Michelle and Dale and I have had a few Primed pow wow sessions there too. Andy Pope rocks. His family loves The Wholesome table too. Together we are 95 years old. That’s why every employee at The Wholesome Table is Primed too. It’s because their bosses care and show it. Thanks for a great lunch Andy Pope from Atlantis Dive Resorts & Liveaboards. Great food, service and ambiance again Juan and Bianca. We will always eat outside now. Love the “grass”. Previous PostWholesome Ronnie and Analie Rocking Their Primed LifestyleNext PostFriends Help Each Other. Ace is a Great Friends to me and Many Others.